The intricate contrast of colour and texture has showcased the best features of clay pavers, more than 400 000 of which were used for the urban enhancement of the iconic Kliptown Walter Sisulu Square of Dedication as well as Union Avenue and Square Road, all based in Soweto, Johannesburg. Public safety is further ensured through the pavers’ skid-resistant quality which means that, even in wet weather, the community of Kliptown can safely use the walkways. Forming part of the Kliptown Public Environment Upgrade, the 24 000 sqm paving project – completed in July 2017 – was commissioned by the Johannesburg Development Agency (JDA). This branch of the city was established to efficiently manage and facilitate the development of an equitable, sustainable and resilient city to achieve the strategic city development objectives. He said that, in addition, paving can be vital tool for public safety, providing clear lines of sight with changes in texture used to indicate crossings. Currently in its third developmental phase, the JDA is focused on the implementation of Joburg 2040, which addresses city challenges to achieve its objectives, as well as supporting the development of the City’s ‘Corridors of Freedom’, which the Kliptown Public Environment Upgrade falls under. Through urban regeneration, these Corridors of Freedom allow residents to work, live and play within the same space, without the inconvenience and high costs of travelling long distances. Working on the project with GAPP was project manager, Akweni Group; contractor, Bophelong Construction and GMH/Tswelelo Consulting Engineers. All project facilitators undertook extensive consultation with the local ward councillor, community and stakeholders, including the taxi and traders’ associations, to ensure the final result would serve the community’s needs. 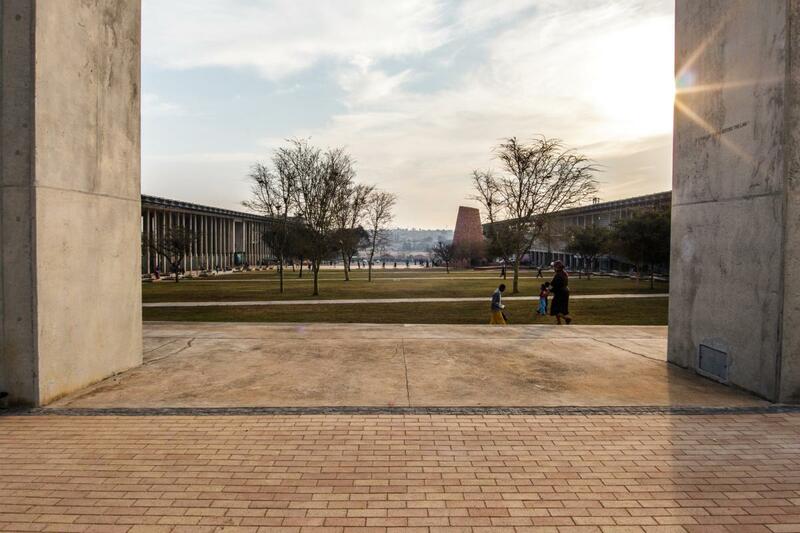 The Walter Sisulu Square of Dedication is framed by two, large parallel buildings. The central square features the Freedom Charter Monument which had fallen into a state of disrepair. To revitalise this area, new public open space was created, as well as sidewalks, street furniture, lighting, trees, public transport shelters and even public art to further commemorate the historical significance of the square. Selecting 400 000 of Corobrik’s Burgundy pavers and 66 120 of the Cedarberg pavers, GAPP breathed new life into the square, Union Avenue and Square Road, tying the entire area together with a network of pedestrian paths and squares for increased access. Commenting on the selection of Corobrik’s pavers for the project, Luke said the incredible robustness ensured they could withstand the high-volume pedestrian foot traffic and the inherent colour-fastness of the clay meant no fading over time, despite constant exposure to the elements. In addition, Corobrik pavers are accompanied by ease of construction, repair and maintenance.